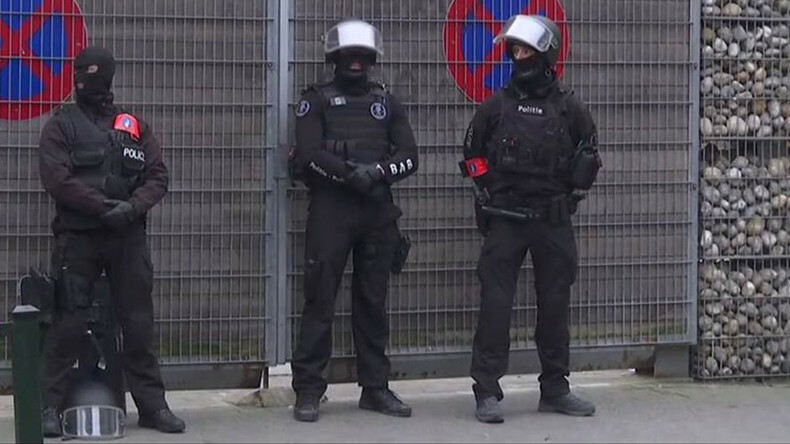 A fugitive suspected to have played a key role in the November 13 Paris attacks, Salah Abdeslam, has been shot and arrested by authorities in Brussels, following an armed siege in the notorious terrorist breeding ground, the district of Molenbeek. "We got him," Belgian migration minister Theo Francken tweeted following the culmination of a four-month manhunt across Europe. According to the minister, the suspect was injured in the leg during the raid. Five arrests were made in total, according to officials. Francoise Schepmans, the mayor of Molenbeek, said two people had been injured. In a public statement, French President Francois Hollande said he expected Abdeslam to be extradited "as quickly as possible," and warned that more arrests were imminent. "It is a good result, and it is important that they captured him alive" Annie Machon, former MI5 operative and intelligence expert told RT. "As someone who has been so key to the logistics of the Paris attacks, he will have a wealth of information, and may be tempted to offer it up in a deal of some sort." The operation unfolded in Four Winds street, located just around the corner from Delaunoystraat, where Abdeslam is thought to have slipped away three days after the Paris attacks. According to HLN, police could be heard shouting "Come out with your hands up in the air" during the raid. Smoke was seen on the street, and is believed to be from a stun grenade, according to HLN. Several blasts were heard closer to the end of the tense stand-off. In total police said they raided three separate properties. It comes just two days after it was revealed that authorities found an Islamic State (IS, formerly ISIS/ISIL) flag at the home of an Algerian-born gunman shot in a Brussels raid earlier this week. That man was identified on Friday as Mohamed Belkaid, who used the name Samir Bouzid, RTBF news reported. He is believed to have been responsible for plotting the November 13 terror attacks in Paris. Dozens of reporters leaving #EU summit building for #Molenbeek amidst reports of shots fired in anti-terrorist raids. He had been on French and Belgian wanted lists since December, when evidence emerged of him making a cash transfer from Brussels to a woman involved in the attacks. RTBF described the man as an accomplice of Abdeslam. The news outlet quoted an anonymous source as saying it was "more than likely" that Abdeslam fled the scene of the Tuesday raid, as his fingerprints were found at the apartment. Abdeslam fled Paris after the November terro attacks that killed 130 people at a theater, the national stadium and cafes. Most of the attackers died that night, Abdeslam's brother Brahim, who blew himself up, among them. The 26-year-old suspect was born in Brussels, and had lived in Molenbeek, a deprived area, populated disproportionately by ethnic and religious minorities. The district had been at the heart of terror plots going back to the 1990s, and is considered a hub of international illegal arms trading. It has also, proportionately, provided more Islamic State fighters than any other place in the whole of Europe.